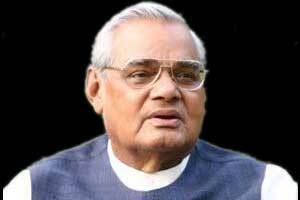 Rishikesh: An auditorium being built at AIIMS, Rishikesh, will be named after former Prime Minister Atal Bihari Vajpayee. Being constructed by the CPWD at an estimated cost of Rs 25 crore, the auditorium will have a capacity of 750 seats and it will be named after Bharat Ratna Atal Bihari Vajpayee, AIIMS Director Ravikant said. The auditorium will be equipped with modern lighting and sound system and its construction will be completed by March next year, he said. IT SHOULDN\’T BE LIKE OUR COLLEGE AUDITORIUM WHICH WAS CONSTRUCTED MORE THAN 12 YEARS AGO, BUT NOT BEING FUNCTIONAL TILL DATE. SO FOR MORE THAN 30 MCI INSPECTION HAS TAKEN PLACE , I DON\’T THINK ANY ONE OF THE ASSESSOR HAS MADE ANY ADVERSE REPORING ABOUT IT . HARDLY ANY MCI TEAM MEMBERS HAVE VISITED THE FACULTY MEMBERS , RESIDENTS , NURSES , GROUP D and any other STAFF quartes and vediographed it . Even though it is mandatory on their part. Majority of FACULTY MEMBERS ARE NOT AT ALL RESIDING IN THE COLLEGE CAMPUS. THEY RUN AWAY TO THEIR PRIVATE PRACTICE LEAVING OPD CAUSALITY AND WARDS TO MERCY OF THE HOUSE SURGEONS, RESIDENTS. COMING TEACHING AND TRAING THE MEDICAL STUDENTS, THEY MAKE IT SIMPLE BY GIVING ATTENDENCE AND ASSESMENT MARKS LIKE FREEBEES. THEY NEVER STEPOUT OF THE MEDICAL COLLEGE CAMPUS TO JUST SEE THE ILLEGAL PVT ESTABLISHMENTS OF THE DOCTORS , WHICH IS HARDLY FEW METERS / STEPS AWAY.